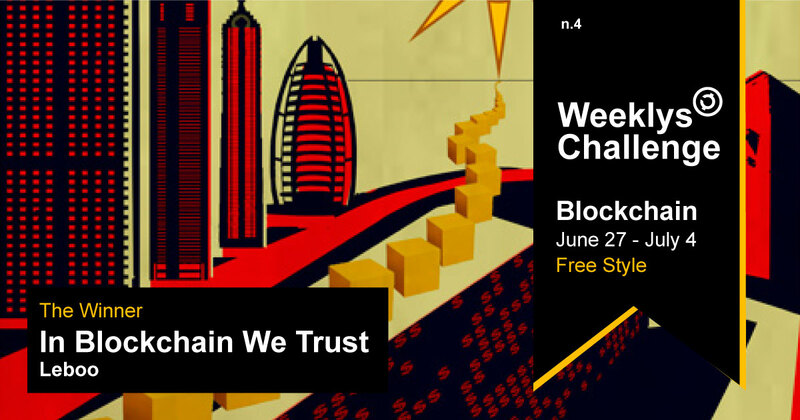 This week we were inspired by Blockchain. A blockchain is a continuously growing list of records (blocks), which are linked and secured using cryptography. Invented by Satoshi Nakamoto in 2008 to serve as the public transaction book of the cryptocurrency bitcoin, blockchains were designed to be secure. This makes them perfect for many uses like; identity management, recording of intellectual property, transaction processing, food traceability, and even voting. In our case we have used it to create a decentralised application in which creatives can show and monetize their work without intermediaries. Providing the capability for creators all around the world to be compensated for their intellectual property. 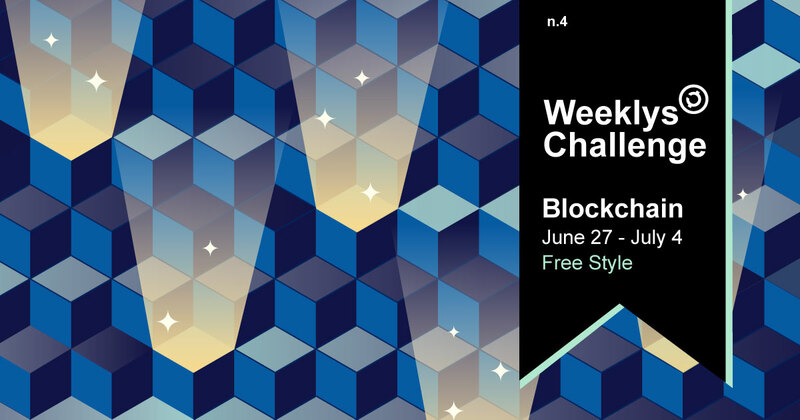 For this Weeklys Challenge we want you to get inspired by the blockchain! Be it a collage, illustration, animation or photo we want to see what blockchain means to our community! To be eligible, the entry must be published between June 27, 2018 and July 4, 2018 (11:59pm UTC).